After years of protests and negotiation, oil giant Shell announced this week that it will give up efforts to drill for oil and gas in the Arctic. Citing a “disappointing exploration outcome” and the high costs of drilling and transporting oil from the region, the company will be sealing and abandoning its base there. Though possibly not permanent – Shell has only agreed to pull the plug “for the foreseeable future” – this is a huge win for the climate justice movement. Environmental activists have long said that drilling in the Arctic is unsafe and will only increase our dependence on fossil fuels, as opposed to moving us away from them. Drilling in a fragile ecosystem like the Arctic not only puts the animals living there in danger, it poses an immediate threat to the lives of the indigenous people who call the Arctic home. The movement to stop Shell was careful to represent the skewed effects Shell’s plans would have on communities of color, particularly earlier this year when a group of “kayaktavists” used kayaks to block Shell’s oil rig from leaving the Seattle port. Women of color were front and center in the organizing: Katrina Pestaño, a Phillipina immigrant rapper and activist and lead organizer, opened up the action with a spoken word piece. Student of color activists were quoted in media coverage of the event, connecting the struggles of their immigrant parents to the cause they support today. 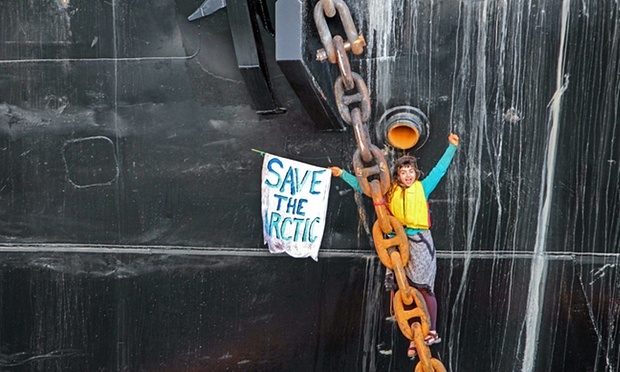 A few days later, another action against Shell was lead by indigenous people, marching and calling out “shell no!” Later that month, Chiaria D’Angelo, 20, chained herself to the anchor chain of a drilling support ship and stayed there for 58 hours in an effort to delay drilling. Though environmental issues are often mischaracterized as causes that primarily interests white people, the fight against fossil fuels and extractive industries is a matter of life or death for many indigenous communities and communities of color. Because climate change and climate disasters are racist, and classist, and huge mysogynists. 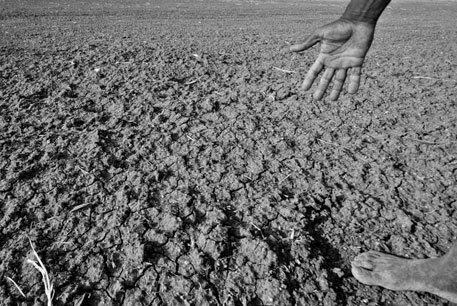 Those people most affected by the damages the fossil fuel industry does to our earth are those who are already most marginalized. So today we honor and uplift their work, and join them in what will undoubtably be a long, hard, fight for all of our lives.